Students and new staff look to senior nurses for guidance and will often emulate what they witness - both the good and the bad. Here’s how to be a positive influence as a role model. The Cambridge dictionary defines a role model as ‘a person who someone admires and whose behaviour they try to copy.’ As you start to consider what professional traits you would like to portray to others it might help to first think of colleagues who inspire you. Ask yourself, what particular qualities do they display and how do these positively impact on patient care? Then reflect on what you can you do to develop your practice so that you embrace some of these behaviours. 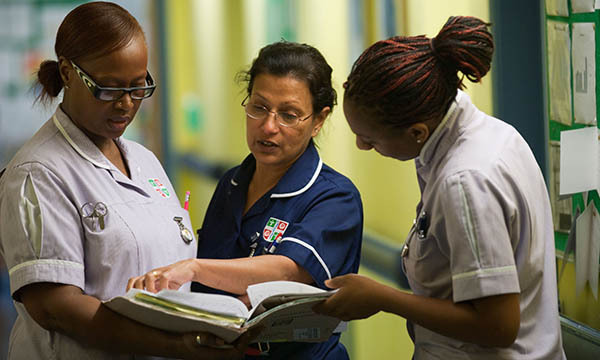 • Strive for high standards at all times: As well as focussing on the care you deliver, also pay close attention to the way you communicate (to patients and staff) and how cooperative you are with other members of the multi-disciplinary team. • Watch your language: This doesn’t just mean don’t swear! Be careful of what phrases and terminology you use - are they appropriate for your patients’ age and culture? What you may consider funny can be deemed as offensive so use humour sensitively. • Respect others: Through demonstrating compassion, honesty and integrity you are setting a good benchmark for others to copy. Simple phrases such as ‘I’ll be there in a minute’ are often not true. Try setting a more truthful example for new staff to follow such as ‘I will be back once I have done X’. It’s often said that kindness can’t be taught, however it can be followed so treat others as you would want to be treated and hopefully this will be passed on. • Work as part of a team: Admitting when you need assistance or guidance is an effective way to show new staff what accountability really means in practice. Be supportive to all members of the team not just those you are closest to. Don’t allow conflicts to escalate - address them quickly, sensitively and without being defensive. • Keep learning: Let junior colleagues see that you are open to new opinions and experiences. Also make sure that you admit to any mistakes and show that you are able to learn and adapt from them.